Looking for a new restaurant to try? Well you’re in luck. Viva Bene is a great restaurant with delicious Italian food and amazing service. It is great for all ages to come. My personal favorite dish is the chicken parmesan, because of the cheesiness they add to it. But ALL of their food is very scrumptious from the warm loaves of bread to the tasty bowls of ice cream. 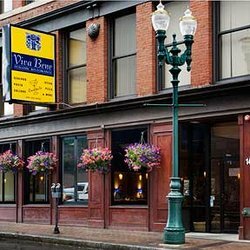 Viva Bene is located in downtown Worcester, across from the DCU Center. So you could see a show at DCU then go over to have a nice meal. This restaurant is also very kid friendly. Although it does not have a kids menu, they basically have all of the usual dishes. The employees are very sweet and always smile. Plus most of them have been there for many years. This restaurant is also good for a variety of parties. My mom even had my baptism here in the party room! 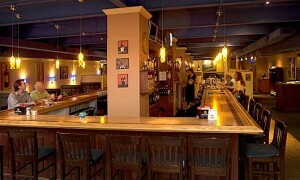 Viva Bene has a very Italian feel to it because of the music and décor. So if you LOVE Italian this is the place to be. I have been going here ever since I was little and have never ever once had a bad experience. Trust me I am very picky with my food so if I like it you should too. Now you can see and try it for yourself! What are you waiting for? Yummy food is calling your name….